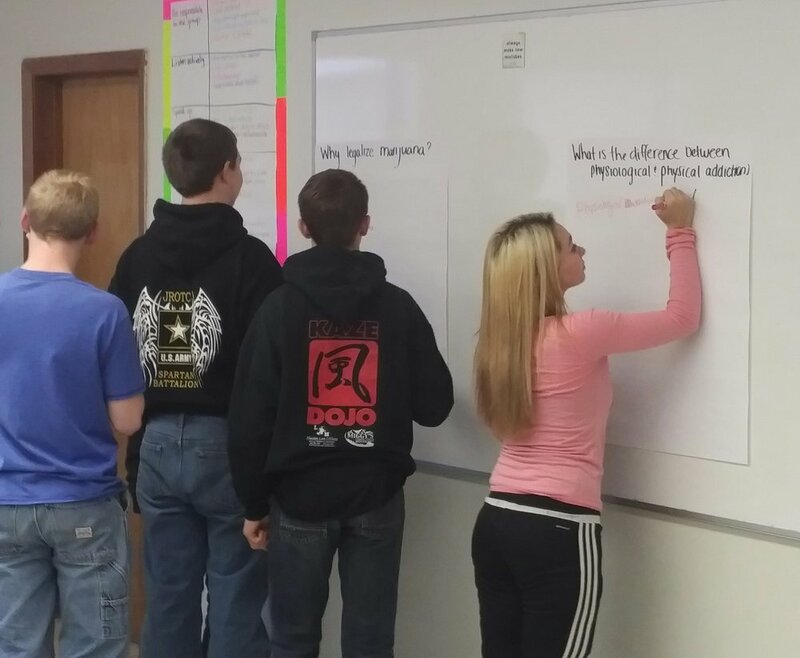 One of the things ERC does regularly is to facilitate school-based “new teacher groups”. They’ve gotten high praise from principals and from participants. We’ve been around and have learned to pay attention to the issues surrounding the attrition of young teachers. We see groups like these as a critical investment. Disturbingly high percentages of educators leave the profession after a brief foray, especially in poorer schools and low-performing settings, and despite a major financial investment in a teaching degree. We base our approach to working with new teachers on the fact that many people leave teaching not because they can’t master the technical aspects – organizing content, planning lessons, using computer programs, etc. but because of isolation and loneliness, on-going anxiety, lack of professional support, and the amount of time and emotional energy consumed by just showing up every day for school. We’ve also noticed over the past 4-5 years more complaints about the grind of getting scores up, a focus on trivial results over more engaging teaching, a relentless march through textbooks and standards to keep pace with demands for “coverage”, and the associated impingement on creativity that led many to consider the classroom to begin with. My instincts always made me leery of Summit Learning. Purchasing that platform seemed too much like a capitulation, an acknowledgement that a school can’t organize its curriculum, design lessons to connect with and motivate students and spark curiosity, or function as a “living system” with the capacity to recognize and address its own shortcomings. The Summit educators I met were largely unable to cite a theory of action, explain their role in making critical decisions about student learning, or comment on how the Summit approach fostered professional collegiality (remembering that adult learning and collaboration are the #1 predictors of a high-functioning organization). I attended Summit events where a common answer to any serious question about teaching and learning was, “oh, just have the students click here”. I also heard thoughtful educators rue the program’s reliance on cartoons and videos to explain and/or teach skills and a trivialization of serious historical and contemporary issues of class, race, gender, and equity. I wasn’t surprised last year when more reports began to surface about students and families who had those and other issues with the Facebook-backed, Silicon Valley incursion into classrooms. Designed by pseudo-educators to make a buck and expand customer base, its unsavory aroma began to spread. Here's one story, and we think it’s cool that NYC’s Urban Academy, a public high-school bastion of rigorous, inquiry-based teaching and learning and attention to issues of social justice was one of the schools whose students led the way. Front-line educators have work to do. We have to do our homework and we need to know our history. We have to ask harder questions, and commit to engage the pubic on the issues that matter to us and to our students and families. Here’s to a healthy and rewarding 2019. We're really excited about some new curriculum thinking that holds huge potential for kids and schools. Here's how we got here. The first time I got really provoked about curriculum issues was when Coalition of Essential Schools Founder Theodore Sizer visited our school in the early 90’s. He spent most of a day and seemed to have had a great visit, roaming around the school on his own for several hours, asking students about their experiences. On his way out, after a few glowing remarks about the climate, he asked, with a curious look, “You know, schools are funny. I wonder why we’ve decided to offer American History in the morning, but American Literature in the afternoon?” He asked it lightly, in a tone that suggested he wanted me to think on it more than he wanted an answer. That would be Ted. As a busy high school principal, I didn’t give it a whole lot more thought that day, but it came back to me that evening, and again the next day. That simple question from Ted led to weeks, and ultimately years of thinking about how we order things, how, in Jal Mehta’s words from The Allure of Order, we attempt to “rationalize” human learning and school behaviors. Ongoing deliberation on his question led our school to move eagerly to a Humanities format that included those two traditional fields, or “classes”, that Ted mentioned, but also social sciences, music, art and design, themes re-cast in deep exploration of issues that matter to us all, that go beyond simple notions of “inter-disciplinary”. A decade later, I, like 15 million other viewers, chuckled and nodded through Sir Ken Robinson’s TED Talk- “do schools kill creativity?” Of course, they do. We know that. They are meant to instill conformity instead. But in his delightful skewering of our industrial model, he not only reminds us that the traditional curriculum is wildly unhelpful, he traces its origins to the desires of late 19th century policy makers to prepare a small percentage of learners for academia and the professorship, another small batch, the would-be doctors, lawyers and generals, and the rest for work and various levels of drudgery. So began my long road of nagging doubts about the effectiveness of the traditional “math, science, history and English” line-up. My experiences as high school principal, college professor, school coach and consultant repeatedly unmasked school as limiting and often discouraging. At each stop along the way I was reminded me that people crave connections to their own “mysteries”, want to ask their own questions and chase big ideas, to find out more about things that really matter, not bounce around each day in a world carved into four or five thin slices. In agreement, and likely somewhat out of pity, a good friend, the late and great Ron Wolk, founder of Education Week (he was an early and persistent Jiminy Cricket of our disappointing “standards” movement) urged me to read Marion Brady’s work. Brady’s rich library of thinking on curriculum and standards added perspective and substance to my own from-the-trenches critique. See link. That talk with Ron, who had his own rich legacy, inspired me to put my mind in a more focused way to contributing to school redesign. Serious redesign. The kind we imagined with Ted in the early 90’s. Not the silver bullets we’ve seen come, go, and repeat themselves --mastery learning, “PBL”, “blended” learning, competency-based instruction. They’re helpful but insufficient, adaptive approaches that accept most of the current “arrangements” of school. Our schools need the kind of redesign that doesn’t skirt the core issues and problems of our school “architecture”. I wanted to surface the hurtful impact of our industrial approach to school on learners and families, issues such as the false correlations between time and learning, the smothering limitations imposed by age-alike cohorts and overly simplistic cognitive and social/emotional development paradigms, reductive concepts of the locus of learning, and above all, the CURRICULUM. The curriculum that’s like carbon monoxide, that puts us to sleep without our knowing. A curriculum whose origins we can’t cite, that seems to have no agreed-upon aim or over-arching purpose and disregards the seamlessness of human perception. As Brady points out, our traditional curriculum thinking "accepts short-term recall rather than logic to access our memory banks, has few criteria for determining the relative importance of what' being taught, relates only occasionally to real-world experience, and fails to encourage creative thought". I had a breakthrough moment in 2013. I had the good fortune to read a short yet especially thoughtful article, “Synergies”, by G. Wayne Clough, then Secretary of the Smithsonian Institution. His insights in to the urgency of organizing human thinking in a collective effort moved and excited me just as they had inspired his colleagues and collaborators at the Smithsonian. Finally, here was a way of making sense of our intellectual efforts, our potential as social and thinking creatures, and doing so in a way to make for a better planet and a better “civilization”. See link. The Grand Challenges presented themselves immediately to me as a framework for re-igniting the passion and curiosity kids bring to the early grades but which are mainly lost as they learn to conform and to please, solving predetermined puzzles, a framework that can help us dig out from under the glut of competencies, do-now's, etc. that no one wants to come to grips with, but which is link here to Gallop poll putting kids to sleep. Over the past two years, my ERC colleague Katrina Kennett and I and a small but growing number of teachers and schools we work with are helping us to deepen our understanding of the potential of The Grand Challenges. We’ve developed powerful visual provocations and entry events that correlate to the Grand Challenge topics and issues, as well as new tools to organize and expand the learning environment. We have imagined a unique learning landscape and developed a glossary of terms that explain those new structures and practices. Our “New Architecture of Learning” includes the elements of an ecology that can sustain more robust learning and activate powerful affinities among people, places and ideas, in the spirit of the original Grand Challenges. Along the way, we’ve also learned that dissatisfaction with the traditional curriculum is not unique to us, is quite long-standing and comes from a wide variety of historical figures and intellectual fields. Link here. This new collective energy gives us increasing hope that people can begin to slowly put aside our tired approach to “curriculum” and replace it with explorations and activities that use the Grand Challenges as a framework for learning, activities that erase some of the unhelpful boundaries and structures that inhibit passionate learning. Whether you use it in an existing unit of study, as a larger scaffold, as an alternating curriculum, or as your basic framework, you’re helping us move the dial. So, if you’re ready, here’s the Grand Challenges “primer” you’ve been asking for, link below. Check it out. Imagine new, place-based, YES IN MY BACKYARD additions to the Challenges that resonate where you are and far beyond. Join our network, connect with others and help us move forward to meet the needs of our people and planet! Link here to see primer. students have been asking me if I want to carry a weapon; if I say “no” I wonder does that mean they think they can’t count on me? where would I keep a gun? if first responders swarm our school and we have multiple people with multiple weapons, who are they going to target? Spending a lot of time in many different schools, it’s been impossible to avoid the myriad feelings and emotions brought to the surface by the Florida (and other) school shootings. The reactions have been surprising in their breadth, sobering, moving, alarming, and, frankly, new and unanticipated to a veteran educator who did NOT have to confront such issues while leading my school. But, on the positive side, here's a huge reason I believe in our kids and in K-12 schools. Check out this video. Go to link. Finally, for the past four years, I’ve appreciated being a working partner of and of and with the Partnerships in Education and Resilience (PEAR) Institute. Their work helping schools to know young people is more important than ever. PEAR Founder, Dr. Gil Noam, has responded with this thoughtful piece and I think it’s a critically important perspective. Go to link. We’re really proud of the work our colleague Larry Myatt has done at Manchester New Hampshire’s West High School. Despite a proud history in the Queen City, the school has struggled with declining achievement and one of the state’s highest drop-out rates. It has all the challenges that face many kindred urban schools and communities. Yet, of, late some truly bright spots have emerged. 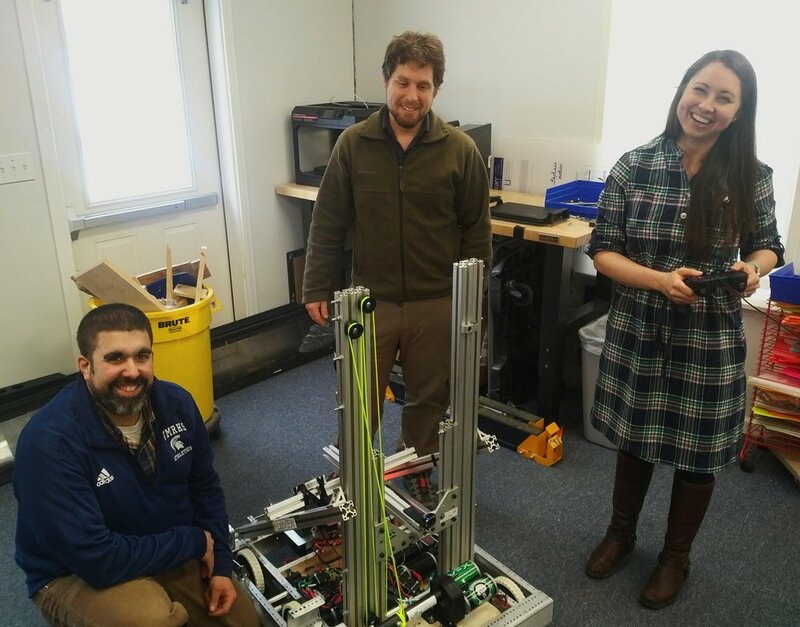 The school’s fledgling STEAM (STEM+) initiative was recently lauded in a University of New Hampshire evaluation link and West was recently awarded a Barr Foundation grant for initial redesign efforts. Link here. In an era of flat achievement and declining student engagement, Larry’s work with West High School’s STEAM initiative has shown what is possible --with committed teachers, leadership, resources, and importantly, different thinking about the systems, culture and practices. We wanted to talk with him about it. WO- The last time we spoke you were talking about flat results for STEM programming in general. What did you mean by that? LM- Well, let me say first that I appreciate STEM initiatives. They provide funding and energy when money is scarce and I especially like it because it tends to bring business and industry players to the table, and they can make things happen in ways that school districts, higher education and state departments of educations can’t. So, STEM for me holds a lot more promise than we currently expect from it and push for. Having said that, I was struck by a detailed Wall Street Journal article a few year ago, and subsequent research that pointed out that after a decade or more of substantial STEM investment in schools, the number of students pursuing degrees- at the undergrad, masters and doctoral levels- had barely changed. Still more men than women and still fewer candidates of color, but overall, no increased interest in entering fields where science and math are building blocks. WO- What do you make of that? LM- Well, to me, on a more superficial level, we portray STEM as for geeky kids building robots and taking all advanced classes. And that’s unfortunate. I actually asked several people who work nearby in Kendall Square, a global tech mecca, what they think of when they think of STEM, and that’s pretty much what they said. Pocket protectors and super heavy backpacks, mostly limited to high achievers. But I think that the problems that dissuade students from science and math go far deeper than that. I think the roots unquestionably go back to the student experience in middle and high school, where we have all the data mentioned in part one of this interview – greater disinterest in school learning, perceptions that what we ask them to in school is not relevant or meaningful in the long run, more novelty and exciting ideas available outside of school -culminating in the fact that the longer students are in school, the less enjoyable it becomes. Deborah Meier had a wonderful essay on that some time ago, “Why Kids Don’t Want to Be Well-Educated”. That’s a plausible but overlooked explanation for the flat NAEP scores, just one among several other indicators of low engagement. KK- You mentioned a New Hampshire STEM study as well. LM- Yes, that students surveyed in 8th grade are turning away from science because of how they’ve experienced it thus far and how they see it being offered in high school. KK- What is it, do you think, that turns kids off? LM- Well, first of all, the way we’ve come to think about and organize curriculum has little to do with the ways that we actually learn, or care to learn, the way the brain and motivation co-exist and inter-play. We’ve developed huge lists of “standards” and materials that portray a smooth and steady path to “knowledge”. We ask teachers to dole out little bytes of content and skills each day as some kind of linear, step-by-step exercise and expect students to care about them and be diligent in memorizing them. What we really know is that learning starts when learners encounter something they wish to learn. And the student voice data suggests that the topics chosen by teachers (and hardly ever by young people) are of diminishing interest, and are taught in un-engaging ways. KK- The other thing you’ve been saying regularly is that STEM initiatives cannot survive the industrial architecture of schools. Can you explain? LM- Sure. If you’re asked to spend 50 minutes reading some Romeo and Juliet, then dash off to Algebra for 50 minutes, then on to the Civil War, a 25-minute lunch, then the water cycle or photosynthesis, topped off by 50 minutes of Spanish or gym or health class, how interested and excited would WE be if that was our diet day after day? A colleague described the traditional curriculum alignment as being like carbon monoxide- its puts us to sleep without us knowing or even thinking about it. Who that you meet in a store or at the gym or the workplace can tell us why its organized and pursued this way? No one! It’s much more of an impediment that we realize, and helps to explain the epidemic of student disinterest. Furthermore, it’s an impediment to pursuing big ideas and topics, to curiosity, creativity and passion for learning. Ideas in school come in fragmented form and themes are short-lived, truncated, dispensable. Things like “PBL” and thematic instruction are limited in their impact by where we see them able to fit in and how much time we can give them before we have to move on. Marion Brady has critiqued the traditional curriculum alignment quite articulately, by the way. Getting back to school, as my friend Tony Monfiletto says, we have to find ways to put the thrill back into learning. “Erase the lines” has become a mantra -the lines between classes and courses, between themes and topics, the lines between in school and out of school. KK- do you have ideas on how to do that? LM- Sure. Its how we’ve made this progress at the school and how other schools we work with are beginning to think about what happens in the classroom. We’re flipping where the standards fit until further down the road in project design, and not only hoping for but managing and structuring in ways for students to do rigorous work, but work they care about. Diversity is natural, its good, it can be harnessed for the purposes of challenging intellectual work (Newmann). Everyone is reading, writing, curating, presenting, researching -all the standards are there and at a rigorous level. We just don’t start by telling the students what they should care about. And using things like Learning Murals (see link) brings colleagues and especially students into the design process. KK- It sounds like it requires a different kind of teaching. LM- Yes, it’s a very different management schema than trying to move 20-30 kids down the road together in lock step but it finally flips the role of teacher from presenter, content expert, entertainer, chooser of topics and materials, to that of coach, connector, advocate, facilitator. Ultimately its more satisfying and more rewarding. That’s the change I mean when I talk about moving from a culture of teaching to a culture of learning. We evaluate successful teaching by focusing only on the adult as the agent and then some test scores down the road. I prefer to assess quality learning by a focus on what and how students are doing, what they are passionate about and supported in pursuing. We’ve been overdue in making that distinction and supporting it with tools and routines for half a century now. We have those tools now, and a team of teachers working with teams of students can really begin to transcend some of the limitations imposed the traditional high school. Linda Chick at Manchester NH’s West High School STEAM Team says she now conducts “near-constant negotiations” with students and small teams, helping them to pursue the mysteries and passions they have, connections and extension, going deeper, to fuel projects that can last weeks and beyond. I love that word “mysteries” as Roger Martin posed it, the myriad different things that touch us and move us differently as individuals from childhood onward. And again, now we have the tools and routines that help students learn to do that negotiation and pursuit with less and less provocation from adults and more confidence in their own learning. We can integrate technology regularly and smartly, with contextual uses, such as learning spreadsheet alongside water quality analysis or weather patterns, finally giving the term personalization some true meaning. WO- How might that impact our thinking within the traditional “school architecture’ as you call it? LM- Here’s one example. I recently asked a stellar group of thinkers that ERC convened to operationalize more robust school redesign and when I asked them how long a project should last, unanimously they answered, until the curiosity fades. Beautiful! That’s how it works for us and our mysteries. But that simple but brilliant thinking can’t survive when learning has to end with the bell, with the next topic, with the marking period, with the report card. Another example is that if ninth-grade students are excited about and able to learn skills and content that might traditionally not be presented until “11th grade”, that’s going to mess with our rigid sense of scope and sequence –of who can learn what when. But what a great problem to have! What’s out there that only a 13 year old can learn, or only a 28 or 56 year old? This reliance on the old model of school is killing authentic interest in learning and we have been reluctant or unable, as innovation expert Clay Christensen said, to offer up new models of school. WO- That’s a lot, but its powerful and positive. Any final thoughts about this? LM- For sure. One is to bring higher education into these settings, sending new educators for year-long co-teaching with master teachers, moving the locus of “teacher training’ to the school. And not to do what they’ve always done in teacher development but to join in the new construct. Schools and teaching are going to change radically and this is the chance for the new generation of educators to get it right. Next, my redesign Charrette colleagues reminded me forcefully that documentation is the best assessment. I knew that, of course, from Project Zero, from Reggio Emilia, from my teaching years, and my own children’s learning. But we lose sight of it in the torrent of more simplistic and mechanistic “instruments”. Archiving and curation, interviews, portfolios and presentations will show schools and communities how students are learning. My last two: One, get the “A” for “arts” into STEM. It’s the biggest piece my schools are missing right now. Student creations and performances of an artwork provide opportunities to clarify what students are (or aren’t) taking from STEM activities. They’re an on-ramp for learning. Designing, creating and interpretation offer high levels of critical thinking and help students to better understand concepts and ideas via a range of learning styles: visual-(learn through seeing), auditory-(learn through talking and listening), tactile -(learn through touch; psycho-motor) and kinesthetic (learn through doing and moving). Arts, technology and design should be integrated into all projects, supported by Humanities and integrated Math/Science as the curriculum pillars. It’s also a chance to finally get a math curriculum together that is meaningful and doesn’t turn students off. Finally, we need the business community to dig in directly to schools, not through intermediaries. Their energy, brains and resources are critical, and they know by now that current education policies are unhelpful to developing their work force. We need them to help guide us, regularly, at the school level. Left to the traditional conveners, too often STEM investments are for more of the same, such as more AP courses for select students and teachers. Businesses make a difference. 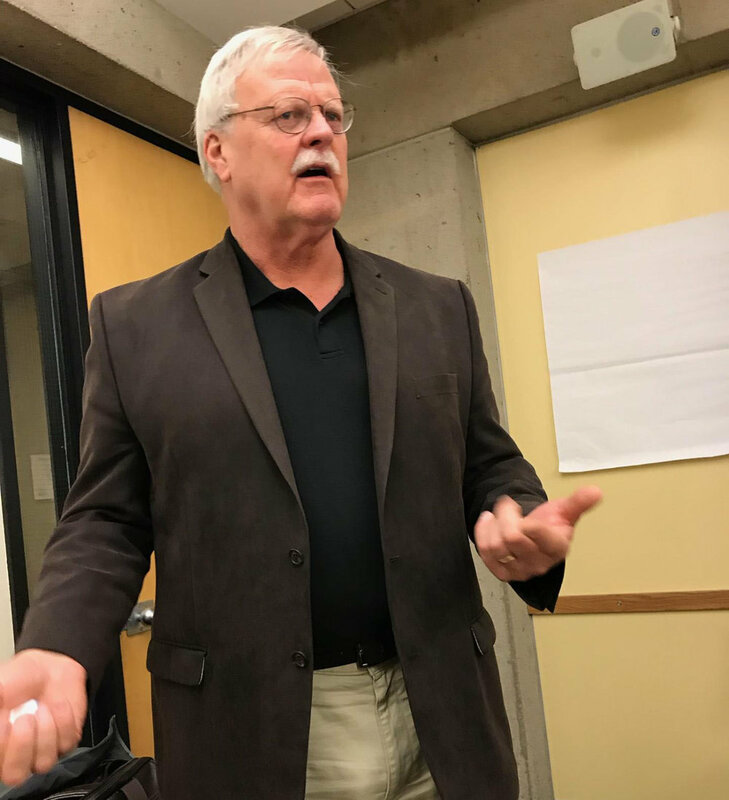 When I served at Brown University with Ted Sizer in the 1990’s, business folks were always at the table and investing in a big way, and they understood it would take research and re-design, multiple and diverse ways to re-think school. That was before they lined up with “think tank” policy makers for efforts such as Achieve and other reductive, top-down approaches to improving schools. We need to get them back at the table. Businesses have a lot to gain from investing in STEAM. Communities as well. STEAM-Ahead NH is a great example of something that’s begun to grow in the ways I think are a model for the future. To me, this transformation is simply not that hard if we have the will. See link. I invite anyone who wants more and better from STEM investments to contact us. We can do better. To the ERC family, Christensen’s commentary is discouraging but unfortunately true. Not that there haven’t been attempts to do things differently, some in the past, others on-going --as someone said, the future is here, it’s just unevenly distributed. For the most part, however, we somehow keep trying to get more “results” out of the same core design, as we ride the slack current of cultural and social ideas of school from yesteryear. But we’re increasingly aware that achievement remains flat nationally, most likely because students have been shown to be increasingly less interested in classroom learning than in the world beyond school. What we sense in school-based educators these days is a palpable recognition that we’re repeating ourselves. Complicated problems require complicated solutions –a building can’t be improved by paying attention to one pillar. The integration of important elements of redesign –along with active participation and deep understanding in the community-- is a science unto itself. How do we use the guideposts of learning science and human development? The work is high-touch, scholarly, yet down-to-earth. It’s uniquely human to want to pass down a replica of what we’ve experienced –to our kids, to the next generations. Our instincts crave a common bond of experience, of ideas, of values. But we are helping build a world that’s around the bend, one beyond and different from our times, one beyond the bell curve. This is why the work of re-imagining school needs to happen with great care, in particular ways, and with the “whole village”. We have to believe that together we can build something smarter and more humane, engaging, rewarding, and memorable. In the early days of the Coalition of Essential Schools, “Trek” spawned many of the great small schools that endure today. To Trek stood for a thoughtful community journey to perform what Theodore Sizer called “the most important educational task of our times: to evolve the institutions and practices that assist learning”. People read and studied, debated, struggled toward helpful consensus and imagined schools that helped students learn to use their minds actively and well. They connected with small groups of other committed Trekkers. It was a recipe that worked exceedingly well –but that was 25 years ago. At ERC, we’re convinced that the timing is right for people to TREK again, to gather and to commit to re-imagining what learning activities will best serve young people for a time we may not foresee clearly, but which our children will experience. These communal learning journeys require support –the work is high-touch, high-skill. The vision and change leadership required to manage the feelings and ideas attached to the social, cultural and intellectual elements of our schools is exacting. If you’re game, we’ll introduce you to skilled facilitators, technology, and leadership coaches –people who know schools as well as they know their individual arts. We offer public engagement support and experienced scenario and school redesign thinkers. We’ll help you seek funds and resources. We’ll connect you deeply with other schools and thinkers who will provoke you, amplify your thinking and serve as critical friends to your efforts. If you have the will to assemble a TREK team – let’s get started! For more information or to begin a TREK yourself, email today: larry@educationresourcesconsortium.org today!